Home > How can you measure the value of a webpage? > How is Google PageRank different from Alexa Rank? 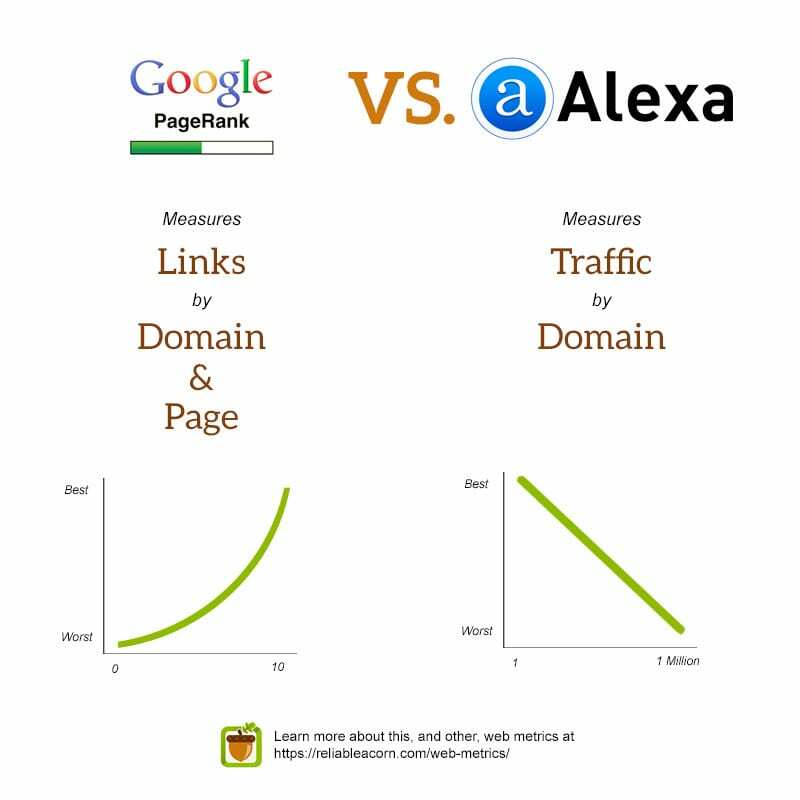 The difference between the two is Google’s PageRank is the calculation of a page importance based on number and quality of incoming links to a website while Alexa Rank is computed based on traffic recorded to a particular website as calculated through the Alexa Toolbar. While Google PageRank measures a page’s back links, citations, damping factor, etc., Alexa Rank solely measures the most unique visitors of a website. Technically PageRank is a exponential scale between 0 and 10 while Alexa is a ranking of sites, in order from most traffic to least (typically up to a million). While PageRank can be applied to a domain or a particular page, Alexa rank only applies to domains as a whole.